The Fear is perhaps C.L. Taylor’s darkest novel yet. She explores some unsettling themes in her latest book and it has an ending which really gave me chills. We are introduced to Lou Wandsworth, who, ten years ago, ran away with her teacher, Mike Hughes to France. But her dream of happiness turned into a living nightmare when Mike became a man unlike the one she thought she knew. Ten years later and she discovers that he could be grooming another young girl, a thirteen-year-old girl called Chloe. Lou is desperate to make sure that history doesn’t repeat itself, but how can she stop it when Chloe doesn’t want to listen to her advice? The story is told through the narratives of Chloe, Lou and a mystery woman called Wendy. Wendy is one of the main sources of tension throughout the novel and what I found really interesting was how C.L. Taylor played around with her character. My perception of her changed throughout the book, in my opinion, I felt that she was the most engaging character. Through Lou’s diary entries and Chloe’s narrative we can see how easily Mike grooms and manipulates them; there are some scenes in the book which do make for an uncomfortable read but the plot and C.L. Taylor’s writing compelled me to read on, she is an author who pulls no punches in her writing. As with her previous books The Fear makes for an engaging read, once you’re hooked by C.L. Taylor’s writing you won’t want to put it down. She is a writer who really makes you have strong feelings about her characters; she will have you shaking your head and shouting at them for the decisions they’re making. 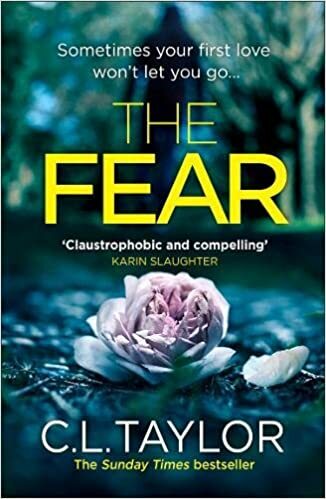 The Fear is a tense, rollercoaster of a read, if you have enjoyed C.L. Taylor’s previous novels then you are in for a treat. Thank you to Sabah Khan at Avon for sending me a copy of the book to review and for inviting me to take part in the blog tour. The ending was a bit too much for me, but that said, it didn’t ruin the book at all. Was kind of fitting, even tho slightly unbelievable.